When we were kids, we had to entertain ourselves with sticks and rocks. Okay, not really. It was Mario Bros. and Zelda, or maybe Tetris and Asteroids. Between these games and our Saturday morning cartoons, we had plenty of screen time growing up — and boy, did we hear about it from our folks. These days, screens are even more pervasive than in past generations, and the effect of screen time on children’s development remains controversial. 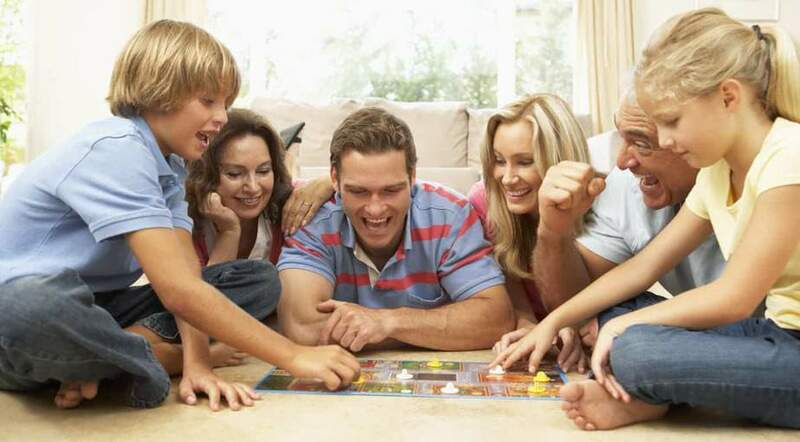 Parents today are in luck, however, because board games are back — and more popular than ever! And we don’t just mean classics like Monopoly and Battleship (although they’re on our ranking too). There are plenty of new games to keep you and your kids occupied, while also providing a fun and educational excuse for some family bonding time. So put away your phones and tablets (but not until you’re done reading this ranking) and find out more about the 20 best board games for kids. And if you want even more options for your next game night, don’t miss our ranking of the 30 best board games of all time. Not only are board games fun, they’re educational. Because science says so. 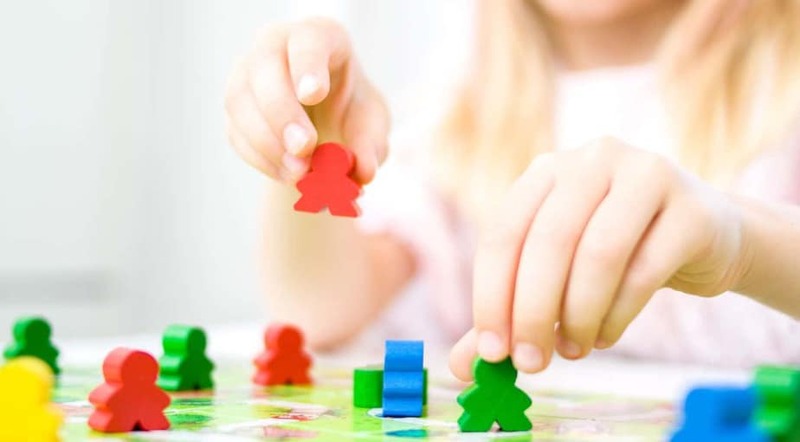 In short, playing board games helps younger children learn self-regulation. It also teaches them the principles of problem solving and thinking creatively. 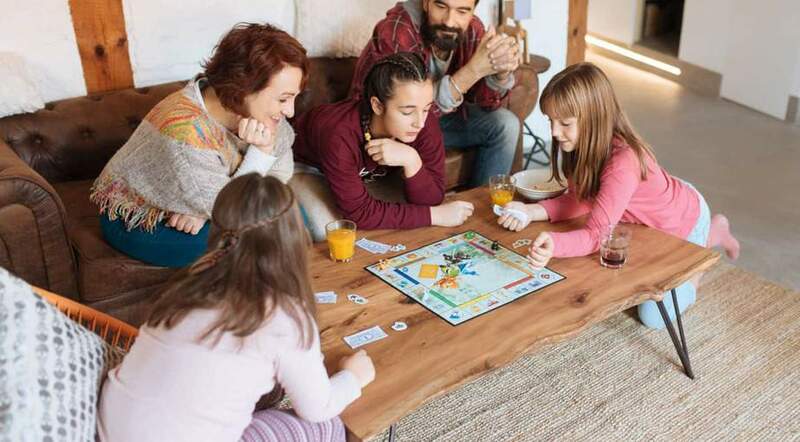 Simply by choosing a game from our ranking of the best board games for kids, you’ll not only create great family memories, you’ll be teaching your children some valuable life skills too. What is the oldest game still played? How long have people been playing board games? The answer is — for a very, very long time! In fact, evidence suggests people have been playing board games for at least the past 5,000 years, setting the way-way back dial to the time of Mesopotamia, Ancient China, and Ancient Egypt. Now that’s old! Even older than your kids think you are. Here are some of the oldest board games that are still played today. There’s some debate about where exactly the game of chess comes from. Some experts say China, while others say India. 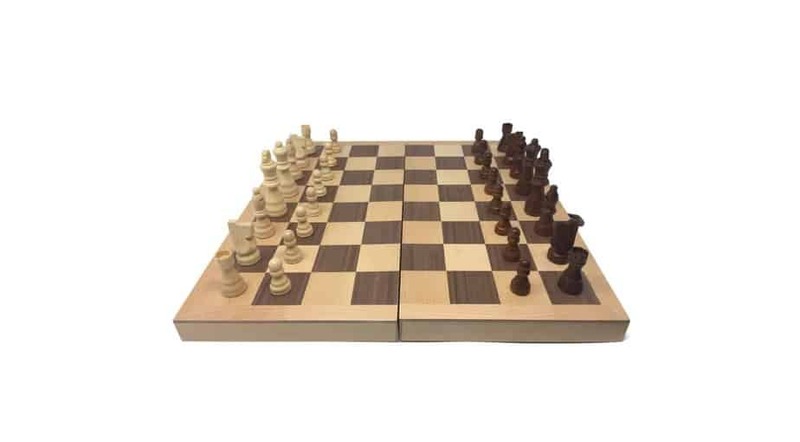 In India, an early form of the game was called chaturanga, meaning “4 divisions of the military” — a concept in keeping with the game pieces we still use today, like the pawn, knight, bishop, castle, and rook. Over the centuries, the rules of chess evolved. The game as we know it now came into being in Europe around the 15th century. The oldest 9 Men’s Morris board game was found in the Egyptian temple of Kurna, dating from right around 1400 BCE. The game was also popular in Ancient Rome before spreading across Europe. 9 Men’s Morris is still played today, and the rules of the game have remained relatively unchanged. Go is still played today, with many of the modern-day rules coming into being around 1670. The Royal Game of Ur is one of the world’s earliest board games. Game rules have been reconstructed based on a partial Babylonian cuneiform tablet dating from around 177 BCE. Modern versions of the game have been released, and it can even be played online. We could go on listing the board games that have been around since antiquity. But we think you get the point: Board games are fun, educational, and have been played by all sorts of people for centuries. Now it’s time for our ranking of the 20 best board games for kids. Pick one out, and keep the tradition of playing board games alive in your family. When compiling this ranking, we drew upon our own fond memories of playing these board games as children, as well as our positive experiences as parents playing some of these games with our own children. We also triangulated similar lists from all over the internet, taking into account the experiences and advice of parents, child development experts, and — of course — kids. We gave the games a score out of 100 points in each of these categories. 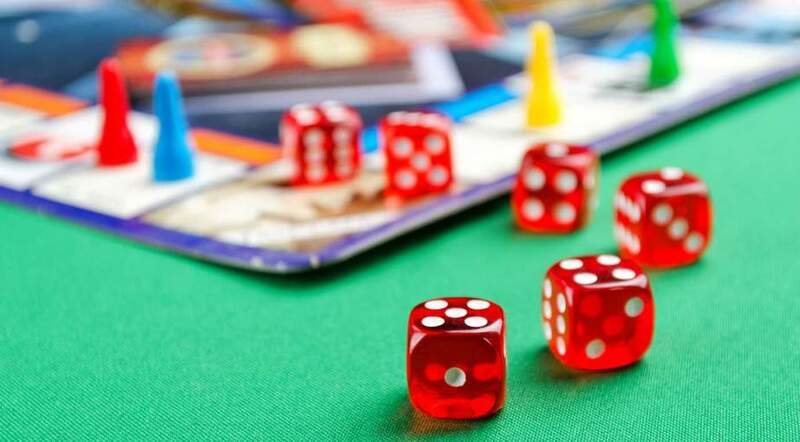 Relive the fun of childhood afternoons spent playing board games, and enjoy our ranking of the 20 best board games to play with your own kids. We’re confident you’ll find just the right board game for your family. 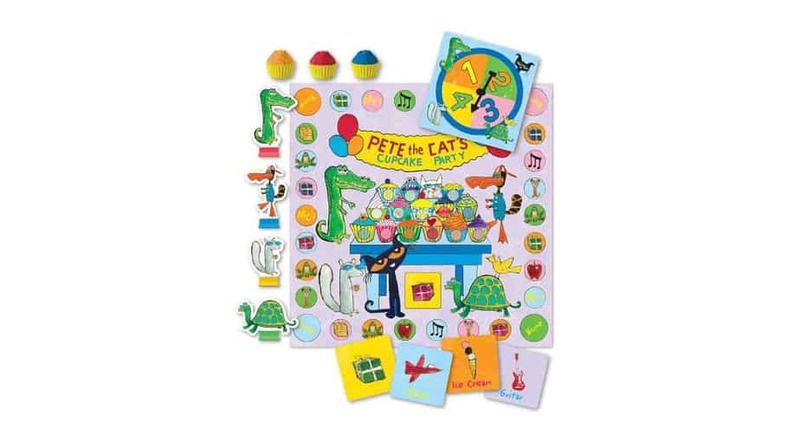 If your kids are anything like ours, whenever they see something Pete the Cat-related, they say, “Gimme dat!” And the response to the Missing Cupcakes Game, RAVE’s pick for the best board game for kids age 3 and under, won’t be any different. While playing the game, kids work together to get the missing cupcakes back from Grumpy Toad. Players collect colorful cupcakes, sing songs, and act out physical activities while playing the game. They also identify their favorite animals, foods, and words. The game is play ‘n’ learn “Level 1,” and it fosters literacy by helping kids make picture/word associations. It also helps to build social skills as players use simple strategy to make decisions and work together. In addition, children express themselves without words while playing the game, which helps to nurture a healthy sense of imagination. Playing also helps to develop a child’s memory. Overall, the game relies on luck, but also teaches cooperation. And best of all, the game’s a little different every time, so your children will want to play it over and over again! Coming in second on our ranking of the best board games for kids age 3 and under is Stack Up!. 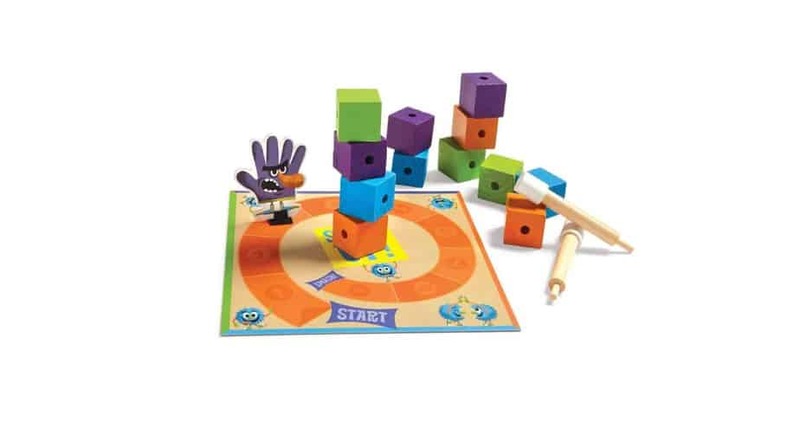 To play Stack Up!, children simply spin the spinner and stack 12 blocks before the “smasher” can knock them over. Challenge moves are added during stacking for added difficulty and to keep things interesting. While playing the game, kids learn balance, color matching, and hand-eye coordination. Groups of 2-6 can play, and benefits include emotional development, shared decision making, positive self-esteem, creative problem solving, and supporting a sense of community in a play-based environment. Stack Up! has 3 levels of play instructions included, so the game grows with your child! Good for skill building, Stack Up! doesn’t have the name recognition, or nostalgia factor, of a Pete the Cat game. Nevertheless, it’s a solid second place in our ranking of the best board game for kids age 3 and under. Third place on our list comes from a beloved children’s author — Richard Scarry! 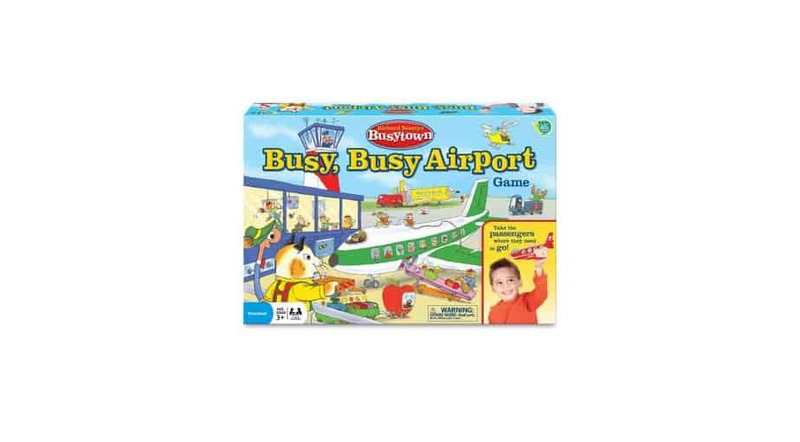 When kids play Richard Scarry’s Busy Busy Airport Game, they learn picture identification and matching, while participating in physical movement, imaginative play, and strategic thinking. Kids will love playing the pilot as Busytown passengers board planes, and fly to 4 destinations — the beach, the mountains, the city, or the forest. You can even collect souvenirs. The game celebrates every kid’s “can do” spirit, while engaging them physically, socially, and creatively. It’s perfect for 3-year-olds, and 2 to 4 kids can play. Richard Scarry is an old favorite, and this game will be particularly interesting for children fascinated by airplanes and transportation. But gameplay is a bit complicated for some children, which is the primary reason this game ranks third on our list. Spot It! Jr. is a fast-paced version of the popular Spot It! Game, adapted for younger kids. Each game card has 6 colorful animals of different sizes, and between any 2 cards, there is always at least one match — lay the cards out and find the match. Playing the game will teach children symbol recognition and brain-eye association. In addition, Spot It! 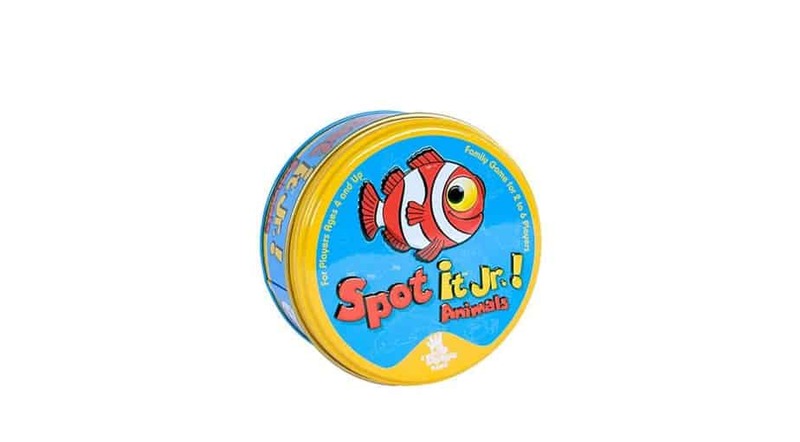 Jr. helps develop attention span, visual perception, speech and language abilities, and fine motor skills. The game includes 31 cards in a tin canister — and speaking from personal experience, this makes the game a great choice for restaurants and road trips. The game can be played by 2 to 6 players. While gameplay is simple, making it easy for 3-year-olds to learn the rules, it also might make Spot It! Jr. a little dull for parents and guardians who need to play along — a big reason that this game comes in last on our list of best board games for kids age 3 and under. 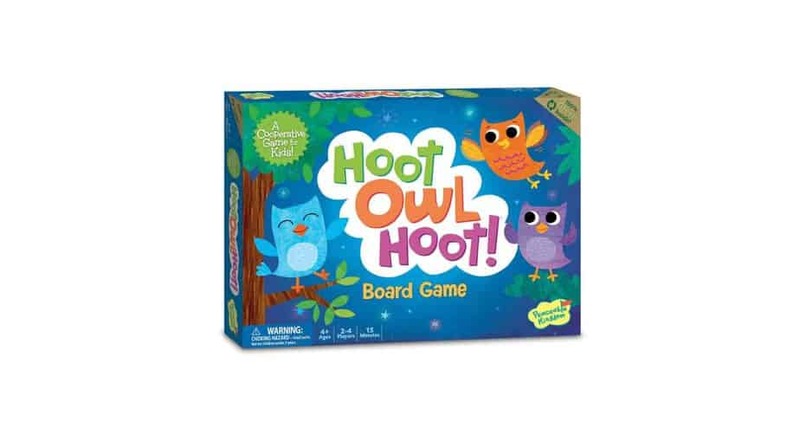 Our top pick in this category is Hoot Owl Hoot!, a color-coordinated matching game in which players cooperate to help the owls fly back to their nest before the sun comes up. Everyone wins if all the owls make it home before sunrise. Play a color card and your owl can fly to the corresponding space. Draw a sun card and your owl is one step closer to daylight. Players can move any owl during their turn, and they’re encouraged to work together to find the best way to get all the owls home. The game helps children learn to use simple strategy while following directions and taking turns. With 2 levels of play, the game can grow with your child, or allow older kids to play with younger ones. Other benefits of Hoot Owl Hoot! include emotional development, shared decision making, positive self-esteem, and creative problem solving. With variable levels of gameplay and lots of educational benefits, we feel confident ranking Hoot Owl Hoot! as the best board game for kids age 5 and under. For second place in this category, our choice is Robot Turtles, designed by a computer programming expert and inspired by the Logo programming language. You don’t need to be a computer expert to play the game, however. The rules are easy to understand. While playing, kids use Code Cards (forward, left, and right) to program their turtle. They’ll need to reach the jewel tile to unlock the next level of play. Best of all, the game’s like a stealth learning experience in which children learn key programming principles in a fun and cooperative environment. 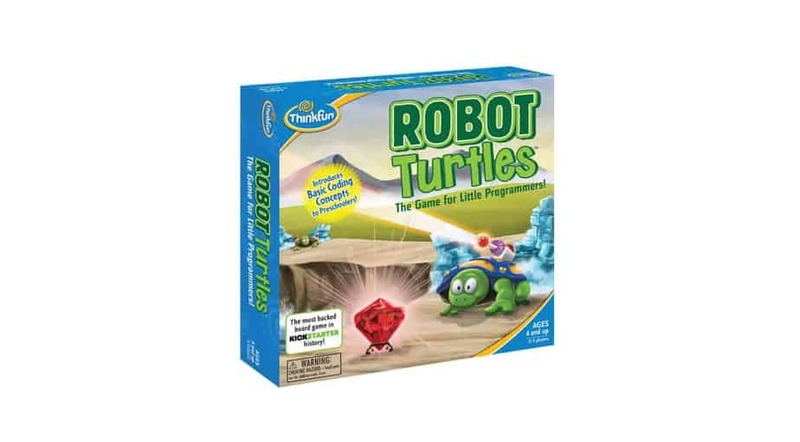 Robot Turtles is designed for parents and children to enjoy together, and the game has won many awards including the Major Fun Award, the Teachers’ Pick Award from Scholastic Instructor Magazine, ASTRA Best Toys for Kids, and more. It’s never too soon to start teaching kids the principles of programming languages, and Robot Turtles is a fun and engaging way to do so while creating some family bonding time in the process. 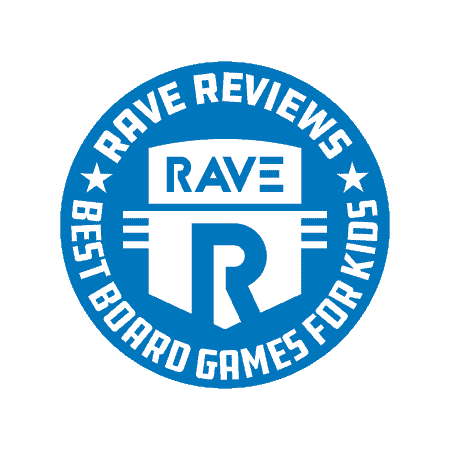 Third in our ranking of the best board games for kids age 5 and under is a personal favorite of RAVE Reviews. It’s a game we played a lot with our own kids, called Zingo. Gameplay helps develop several critical skills, including language building and matching skills. 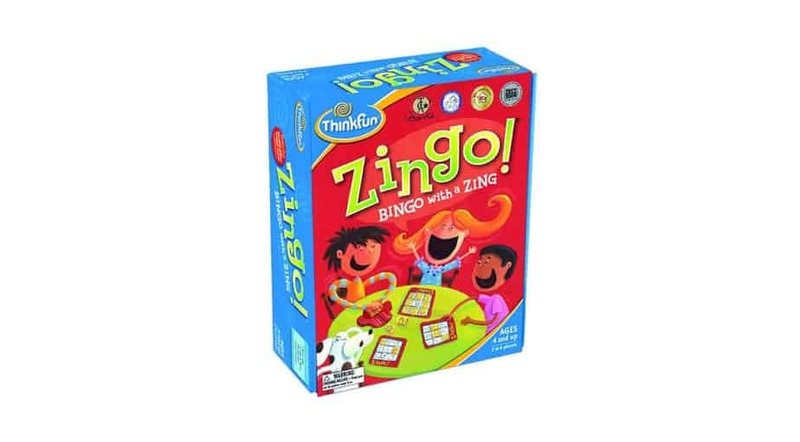 Overall, Zingo is fast-paced enough to keep kids (and grown-ups) of all ages interested. There are a lot of small pieces to keep track of, however, and the act of yelling “Zingo!” means you might not want to play in public spaces where extra noise might be an issue. Coming in fourth in this category is Sleeping Queens. This game was invented, with the help of her parents, by Miranda Evarts — at the time, only 6 years old! In the game, the Pancake Queen, the Ladybug Queen, and 10 of their closest friends have fallen under a sleeping spell. It’s the players’ job to wake them up by playing different cards, like knights and jesters, while avoiding potion and dragon cards. 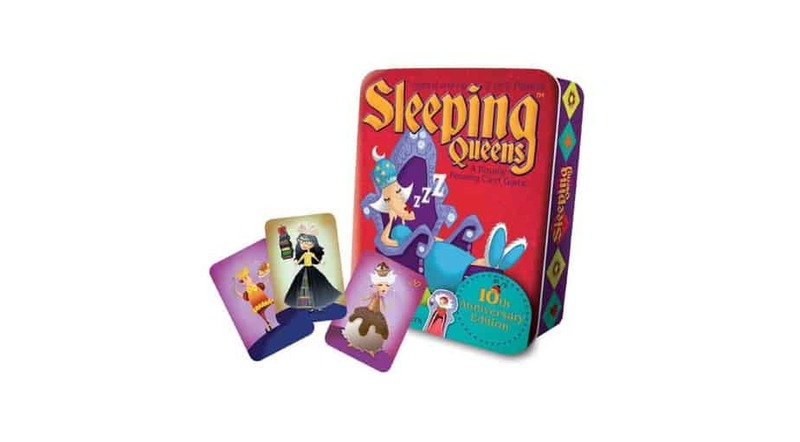 As a game, Sleeping Queens helps develop memory, strategy, and elementary arithmetic skills. It’s designed for 2 to 5 players, and playing time takes about 20 minutes. Children will love the imaginative cards, and most will easily figure out the rules. But with a short playing time, Sleeping Queens might not hold kids’ interest for as long as some other games on the market. Our winner here is Sushi Go, a sushi-themed card game. Sushi Go is easy to learn and quick to play, and it’s engaging for all ages. The goal in Sushi Go is to grab the best combination of sushi as the dishes pass by. Points are scored by making maki rolls. You can even dip nigiri in wasabi to add value to the card. Whoever gathers the most points is the sushi master. Playing this award-winning game teaches children probability, visual discrimination, and strategic thinking. 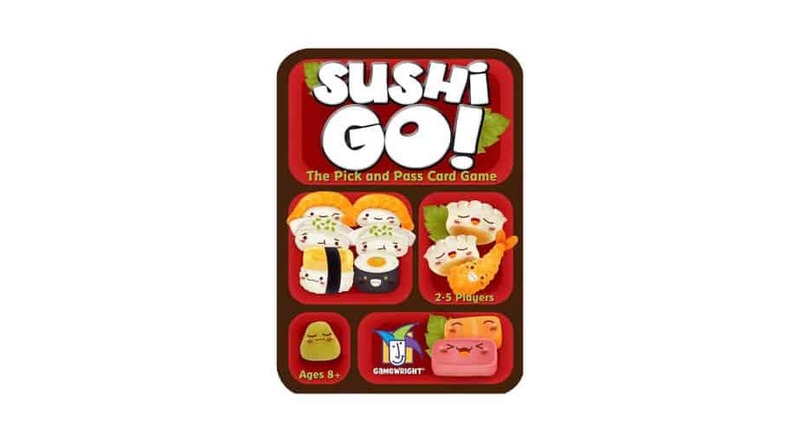 With 108 cards in a sturdy, nicely decorated tin container, Sushi Go is also very portable. It’s perfect for keeping 2 to 5 players occupied in restaurants or on road trips. A fun and engaging game for children and parents alike, Sushi Go is without a doubt the best board game for kids age 7 and under. Next, we’re featuring an update on an old classic: Battleship. In this new version, airplanes have been added to this game of strategy and epic battles. Players can now crash enemy planes, in addition to sinking ships, in order to win. Engaging in head-to-head battle, players search for the enemy’s ships, calling out coordinates on the target grid to destroy them one by one. Players will need to use strategy to fool the enemy and keep their own fleet hidden. The game is highly portable in 2 battle cases, making it perfect for trips and vacations, or for play in the classroom. There’s also convenient ship, plane, and peg storage on the side of the ocean grid. Another new feature to the game from when we played it as kids is the Battleship Salvo, allowing multiple attacks. 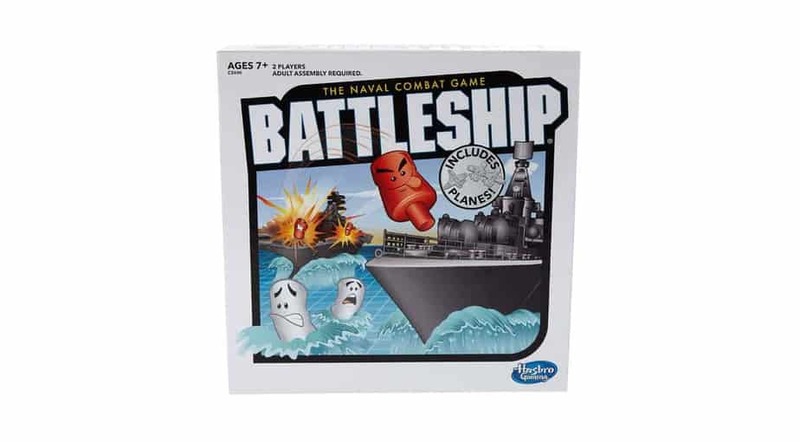 Highly strategic, Battleship does encourage concepts of war that might not be appropriate for all families. In third place for this category is the fun and challenging Kanoodle Jr. A junior version of the bestselling game Kanoodle, this game includes 60 puzzles with different levels of difficulty, providing new challenges for your kids as they advance through the game. To play, simply choose a puzzle in the booklet, slide the puzzle sheet into the board, and use the game pieces to finish the pattern on the puzzle sheet. Playing the game helps develop spatial reasoning and critical thinking, as well as encouraging problem solving skills and building fine motor skills. It’s also the perfect on-the-go educational game, with an all-in-one carrying case to store the puzzle pieces, the puzzle board, and the puzzle booklet. With simple-to-follow instructions, your kid can even play the game all on their own. This game is perfect for children who enjoy problem solving. 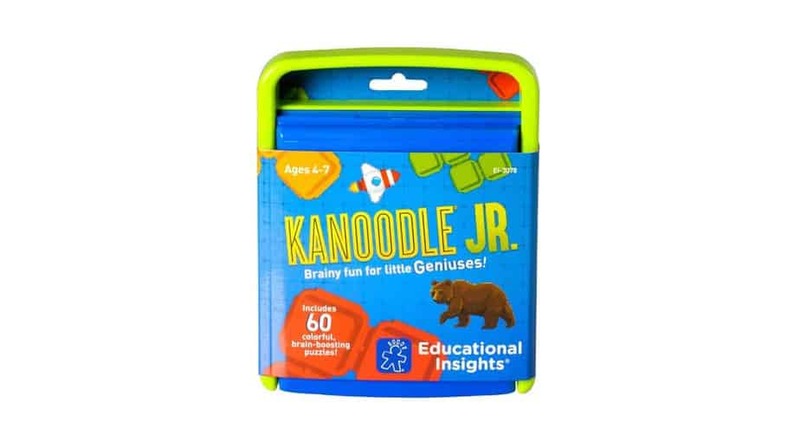 But Kanoodle Jr. might not be exciting enough to hold the attention of more active children — which is one reason it places a little lower in our ranking. 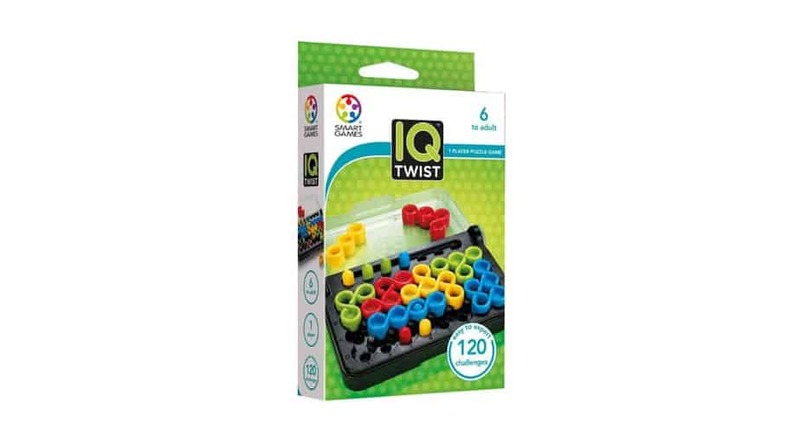 Rounding out the best board games for kids age 7 and under is a game your child can play all on their own: IQ Twist. A multi-level logic game, IQ Twist challenges kids to follow the examples provided in the accompanying booklet, filling in the board with all the pieces as shown while making sure the colored pieces fit in the same-colored peg. Playing the game develops logical thinking and spatial reasoning abilities. Puzzle difficulty ranges from simple to advanced. The game comes with 100 challenges, and it’s great for traveling. Overall, IQ Twist is a well-designed game for kids that enjoy logical thinking and working on their own. But it might be too slow for kids that prefer more activity, or playing games in a group. 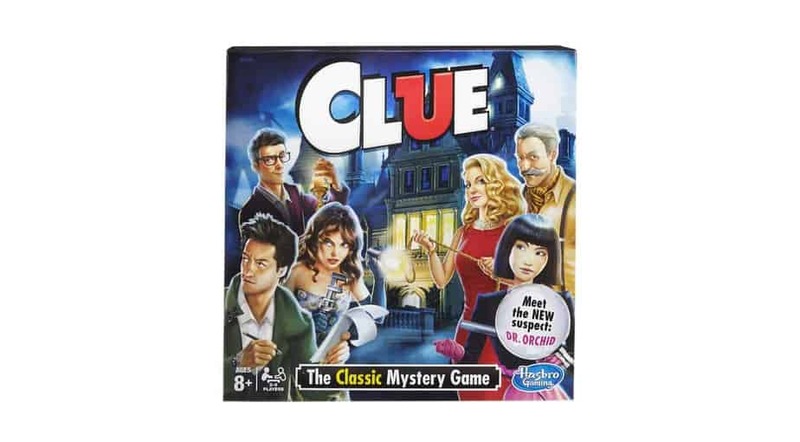 In the category of best board games for kids age 9 and under, our number one game is Clue. This is an old classic that many parents may have fond memories of playing as children themselves. The object of the game is to figure out who committed the murder, eliminating suspects to discover who did it, with what, and where. The player to correctly guess the murderer wins. Was it Plum with the wrench in the bedroom? Or Green with the pistol in the kitchen? This new version of the game includes a new suspect, plus a double-sided board. Set the mystery in the mansion or on the boardwalk — your choice. There are also updated rooms, weapons, and guests. Solving the mystery requires the kind of deductive reasoning 9-year-olds are ready for. Relive a bit of your own childhood and help your kids create their own fond memories with one of the enduring board game classics. 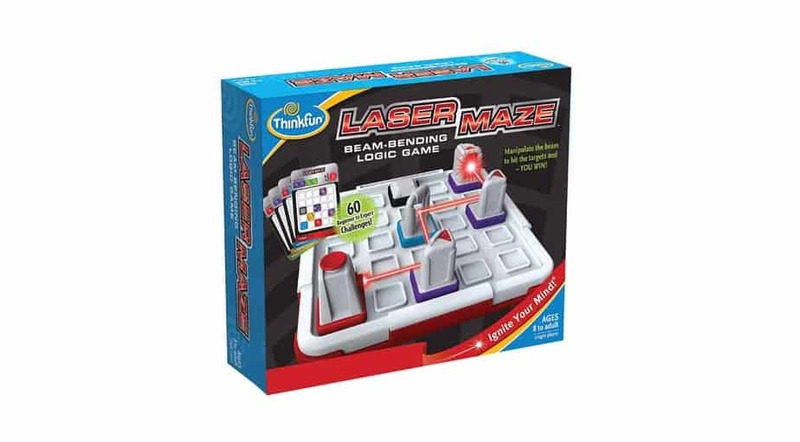 Laser Maze follows closely behind Clue in our ranking of the best board games for kids. The object of the game is to use science and brainpower to direct a laser beam through challenging mazes. Gameplay is relatively simple: Select a challenge card, set up the game grid to match the card, and then position the tokens so that the laser hits the targets. While playing the game, children develop critical skills such as reasoning and planning. The game comes with 60 challenges, ranging from beginner to expert. Included with the game is a real Class 1 laser, a battery, challenge cards, and a game board. Although it is a little expensive for a kid’s game, Laser Maze is perfect for kids that excel, or have an interest, in STEM subjects. If that’s your kid, Laser Maze is definitely one of the best board games available for the 9-and-under age range. 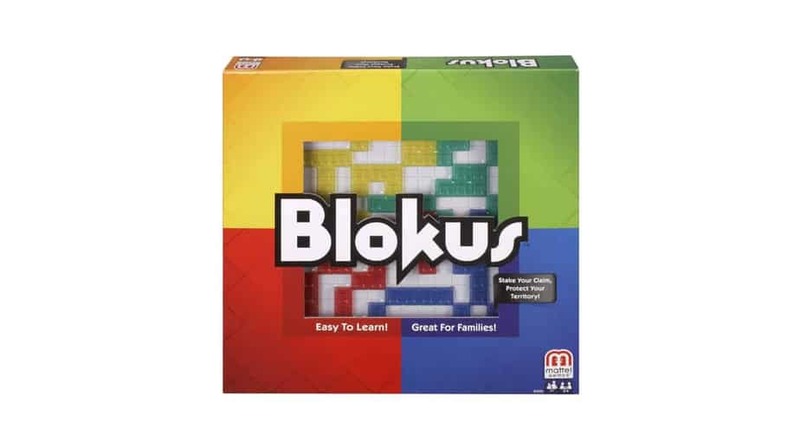 Blokus, our third pick in this category, is a great strategy game for the whole family. Players take turns placing their 21 pieces on the board. Each one must touch another piece of the same color, but only at the corners. The object of the game is to protect territory by fitting as many of your pieces on the board as possible, while using strategy to block your opponent. The game ends when there’s no more room for pieces on the board. The player with the lowest number of remaining pieces wins the game. Kids playing Blokus learn strategic thinking. It’s a fast-paced, easy-to-learn game, but the relatively simple game concept might leave some advanced children wanting more complexity, or to be able to take the game to a greater level of difficulty. All of these are contributing factors to Blokus landing a bit lower down in our ranking. Nevertheless, Blokus is a good choice, particularly for a mixed age range of players. In fourth place in this category is a classic logic game called Rush Hour. The game is played on a grid. Players take turns moving the cars in order to clear a path and get their red car to the exit. The challenges — 40 in all — get harder and harder as kids play through them. 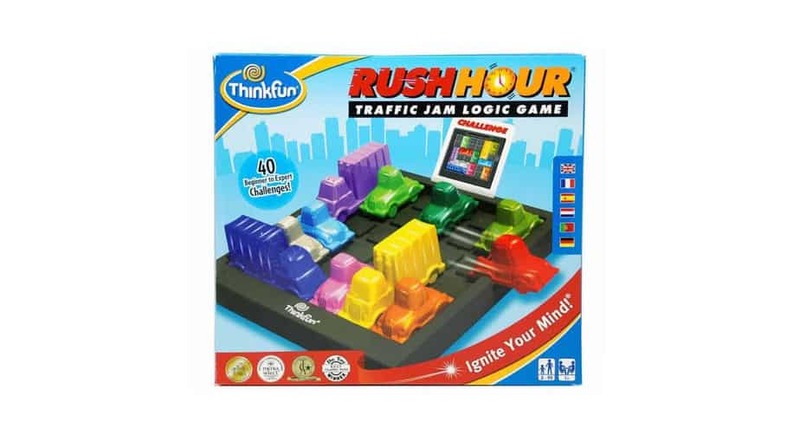 Playing Rush Hour helps to develop reasoning and planning skills. The game can be played solo or with a friend. It comes in a handy portable bag, making Rush Hour easy to take on trips. This award-winning game is a great choice for kids who excel in STEM subjects, but might be a little challenging and frustrating for other kids — a big reason why this popular game comes in fourth on our ranking of the best board games for kids age 9 and under. As kids get to be about 11, they’re ready to take their game playing to the next level. So our pick for the best board game for kids in this age range is Catan, a classic game of strategy, tactical skill, and luck. If you remember playing Settlers of Catan when you were a kid, this is the same game. 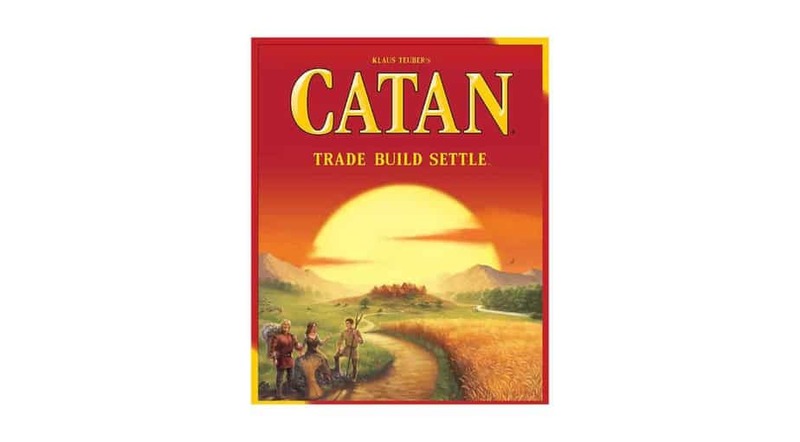 Currently in its fifth edition, the game is now known simply as Catan. In the game, settlers seek to tame the remote but rich isle of Catan by acquiring resources through trades, cards, or dice rolls, while other settlers try to gain a tactical advantage. The game is won when players create a successful settlement using cooperation and strategic planning. Gameplay can last at least 60 minutes, and can include 2-6 players. All sorts of expansion packs are available to keep the game interesting and to add extra challenges. Catan is a great introduction to what more sophisticated game playing can be. It’s definitely the best board game for kids age 11 and under. 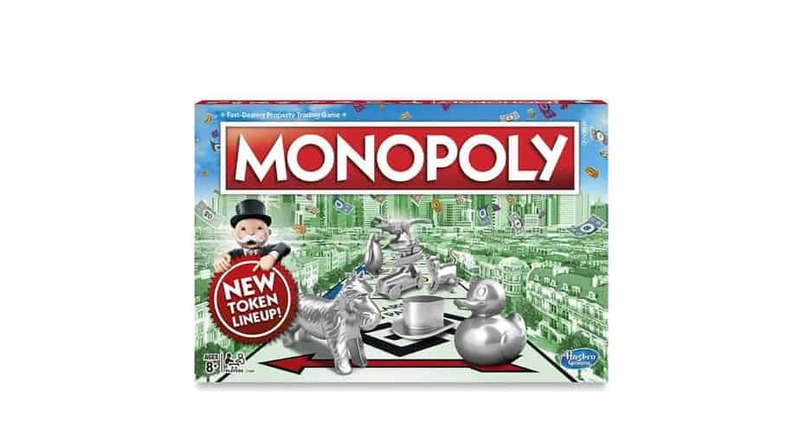 Another classic strategy game for kids in the 11-year-old age range is Monopoly. Many of us spent countless hours playing Monopoly as children, and no childhood would be complete without at least an introduction to the game — though its gameplay could be a little slow and complicated for some children with shorter attention spans. In Monopoly, players buy, sell, dream, and scheme their way to winning. The goal is to build houses and hotels on properties while bankrupting your opponents. But Chance and Community Chest cards can change everything. Monopoly is a great way to learn about capitalism, for better or worse. But its focus on winning at all costs might not align with the values of all families, or the disposition of all children. Nevertheless, Monopoly is without a doubt a classic game that deserves a place on any list of the best board games for kids age 11 and under. Played for centuries, chess is like the grandparent of all board games. Around 11 years old is a great time to introduce kids to this masterpiece of strategy and forethought. 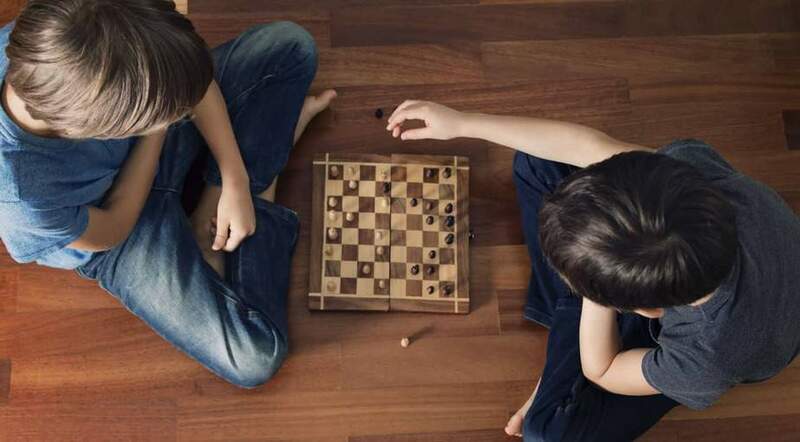 Kids will have to learn the moves each piece can make — king, queen, pawn, rook, knight, and castle — and apply strategic thinking to each move. The game requires players to anticipate the strategy of their opponent and stay 2 moves ahead, until one of them gets the king in checkmate. One great thing about chess is that it can be played on many levels, from learning the basics to applying advanced strategy, so it can be fun for kids and grown-ups of all ages. And it doesn’t hurt that chess pieces are often intricately carved works of art that are nice to have on display around the house, even when the game is not in use. To really get into the game, however, it does take a certain level of strategic mastery that some kids might not be ready for at age 11. 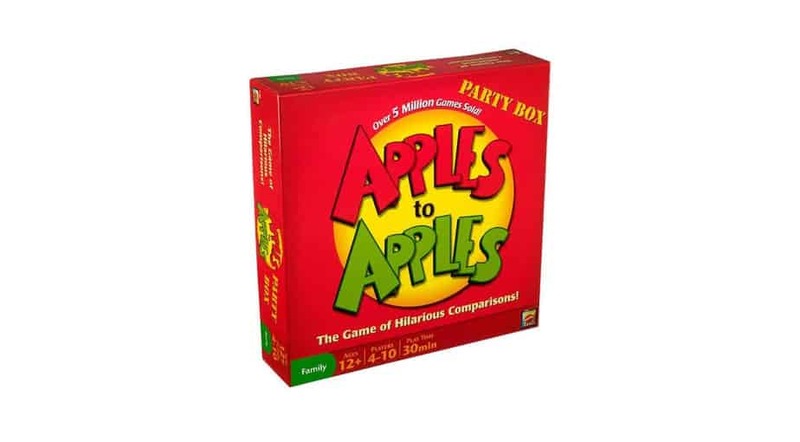 Last on our list of the best board games for kids age 11 and under is Apples to Apples. The game begins by dealing the cards. Everyone takes turns being the judge, who plays a card with a word on it. Players then select a card from their hand that they think best fits with the word on the card that the judge played — whether it be literal, or a card played for humor. The game’s Party Box contains 504 green and red cards. The green cards have 2 clues per card, and the red cards have one clue per card. Things can get pretty outrageous as comparisons are drawn to all sorts people, places, and things. And if all this sounds like a kid-appropriate version of the grown-up game Cards Against Humanity, you’d be right. Playing Apples to Apples helps build vocabulary, grammar, and metaphorical thinking. The game is fun for all ages, but there isn’t much strategy involved. So if that’s what you’re looking for, Apples to Apples might not be the right game for your family.